Neymar's father shunned rumours of the footballer potentially making a move away from his current club PSG. 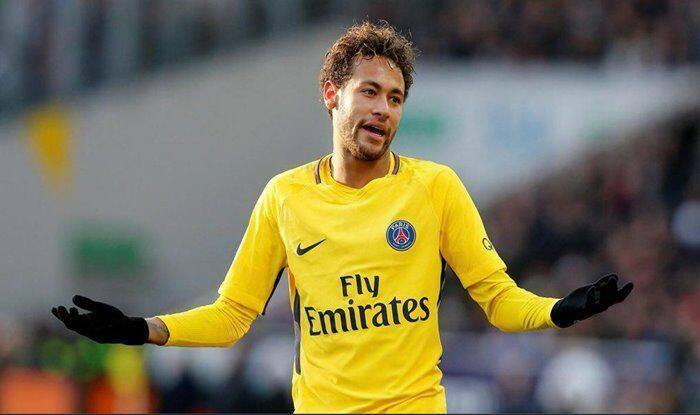 Putting all transfer speculations to rest, Neymar’s father, who is also the footballer’s agent confirmed that the Brazilian international is more likely to sign a contract extension with Paris Saint-Germain (PSG) than make a move to Real Madrid amidst strong links. The 27-year-old, who is currently sidelined with an injury, has been liked with a multi-million transfer move to various clubs with reports suggesting that Real Madrid are leading the race and is joined by the likes of Manchester City, Manchester United, and former club Barcelona. “He’s in his second year at PSG already. So there are another three years to come with his first contract, and we’re already moving towards a renewal with Paris Saint-Germain,” he added. “Anyone who had an offer from someone like Real Madrid would consider it. Right now I’m happy in Paris but in future anything can happen,” said the player. “But don’t say I’m going to Madrid,” he warned. “I’ve already achieved my dream, everyone knows that was Barcelona. Neymar had joined Paris Saint-Germain of Ligue 1 (France’s top-flight football league) from former club Barcelona for a world record fee of 222 million euros in 2017. Contrary to reports which suggested that the Brazilian parted ways with Barcelona to get his own limelight – which wasn’t possible in Barcelona pertaining to Messi’s presence – Neymar’s father, had earlier clarified the air regarding the situation, saying that the reason for his transfer was because they were asked to give visibility to a whole different league, the project they were offered was very lucrative and hard to say no to and mentions it was a very complex situation.